It was a vicious, calculated murder. The killer selected his victim at Euston station, followed her home on the tube, strangled her to death in front of her child. At the same time, killed in the same way, a second body is discovered at the back of King’s Cross station. It is a grisly coincidence that eerily echoes the murder of two other women, stabbed to death months before on the same day.. It is DI Tom Thorne who sees the link and comes to the horrifying conclusion. This is not a serial killer the police are up against. This is two of them. Finding the body used to be the worst part of the job. Not any more. Now each time a body is found, Thorne must live with the knowledge that somewhere out there is a second victim, waiting to be discovered. But whilst the methods might be the same, the manner of the killings is strikingly different and Thorne comes to realise that he is hunting two very different killers. One is ruthless and in control, while his partner in crime is submissive, compliant, terrified. Scaredy Cat is the second Tom Thorne novel. It was published in the UK by Time Warner Books in July 2002. It was nominated for the Crime Writers Association Gold Dagger for best crime novel of the year and won the Sherlock Award for best detective created by a UK author. Download the first chapter of Scaredy Cat. Read the reviews of Scaredy Cat. 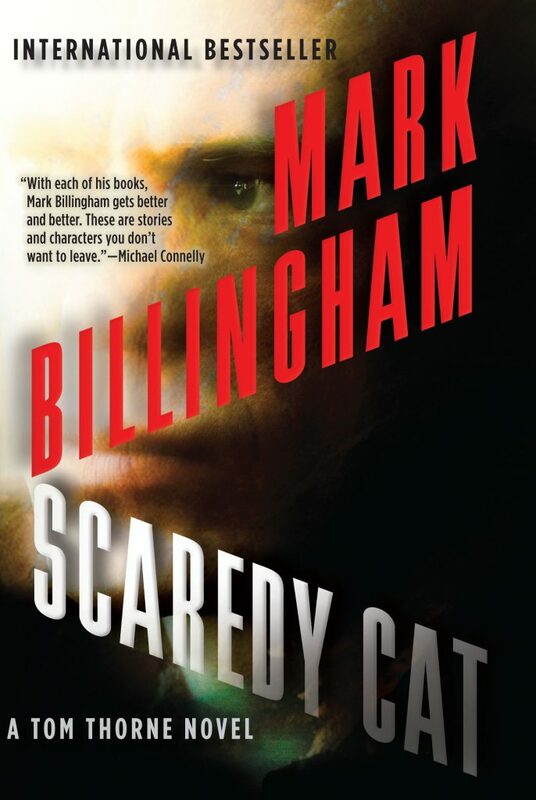 Click to hear Mark talking about Scaredy Cat.